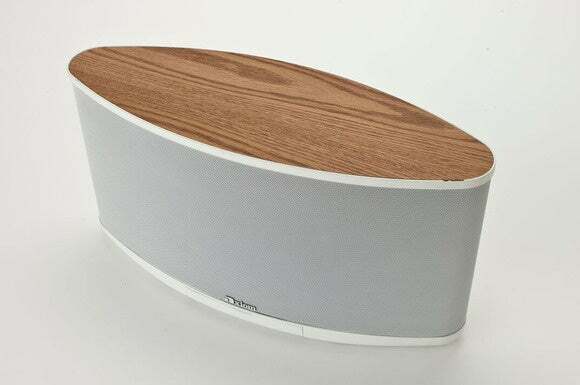 Canadian speaker manufacturer Axiom Audio set out to make an Apple AirPlay speaker in September 2012; but only a couple of months into the project, it became clear that its customers were more keen on something that worked with virtually all manner of devices. The course correction that followed gave birth to the AxiomAir, a wireless speaker that has taken Kickstarter by storm. As of this writing, the campaign had raised $136,000 against a goal of 75,000—and there’s 22 days to go. The AxiomAir multi-room audio system can play music stored on smartphones, tablets, computers, USB keys, and NAS boxes. 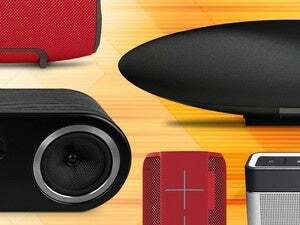 The speaker is also capable of tuning into your favorite online radio stations, and the company tells us it is considering adding support for other types of streaming music services as well. Playback and all other important functions can be controlled via the AxiomAir App, a web-based interface that can be accessed via any desktop or mobile browser. The company describes the AxiomAir as an open-source, programmable speaker, which is one way of saying it has “hack me” written all over it. It’s powered by the credit-card-sized Raspberry Pi computer, and it runs on a Linux-based operating system. What’s more, the company plans to make the system’s source code public, so that savvy users can help make it better. Why this matters: AxiomAir’s open-source hardware and software could render this speaker future proof. Where the AxiomAir truly packs a meaty punch is in the audio department. It’s equipped with a 24-bit/192kHz DAC, and an amplifier that delivers 150 watts of power. You can connect multiple AxiomAirs to your home Wi-Fi network to form a whole-home audio system. And if you’re an outdoorsman not averse to lugging a 16-pound speaker—plus the optional battery pack—you’ll be thrilled to know that AxiomAir has a built-in hotspot feature that lets you stream music to it on the go. The AxiomAir is a self-contained stereo speaker consisting of two Axiom M3 speakers in a single enclosure, and while Axiom currently has no plans to allow two units to be configured as a stereo pair, the company isn’t willing to rule out anything just yet.